That little bit of ball fringe made all the difference...adorable!! LOL love it ... I've pimped a few shades in my time too, just never thought of it like that...and Bentley has the right idea . What a cute shade!! The trim you added is perfect! That's cute...where did you find the sweet trim? I crackup over the idea of "pimping" a shade! Great post, and the pimping looks great! 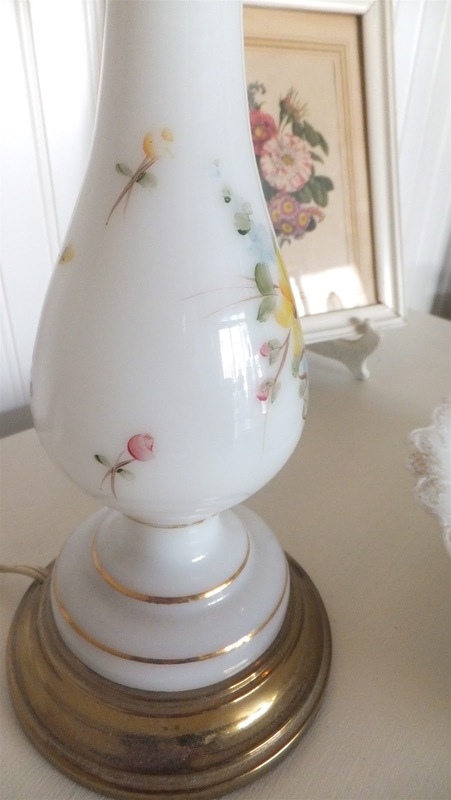 This is a darling little lamp. Love the fringe. What a gorgeous share today. I love this beautiful little shade with the base you chose from your own little stash. It fits it to a "T". The little ball fringe is darling but those buttons are the element of surprise. I simply adore that addition. I can't wait until next week to see the pillows. You are so creative dear friend. 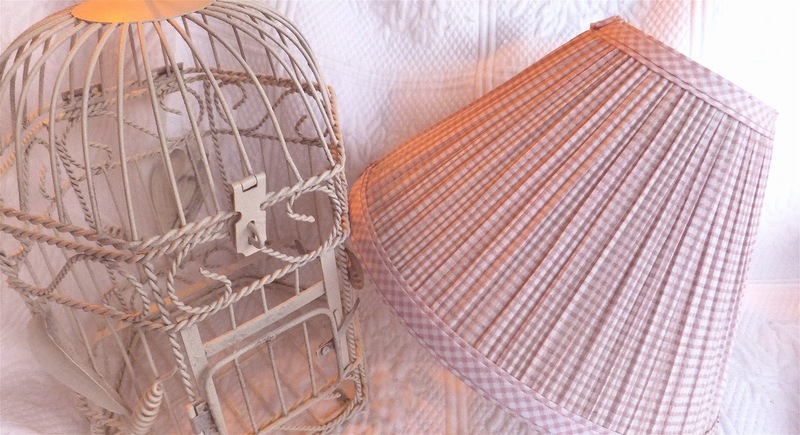 From the pom-poms to the buttons- this is one lucky lamp shade! I love Pink and I love Pink Gingham! Cute shade! 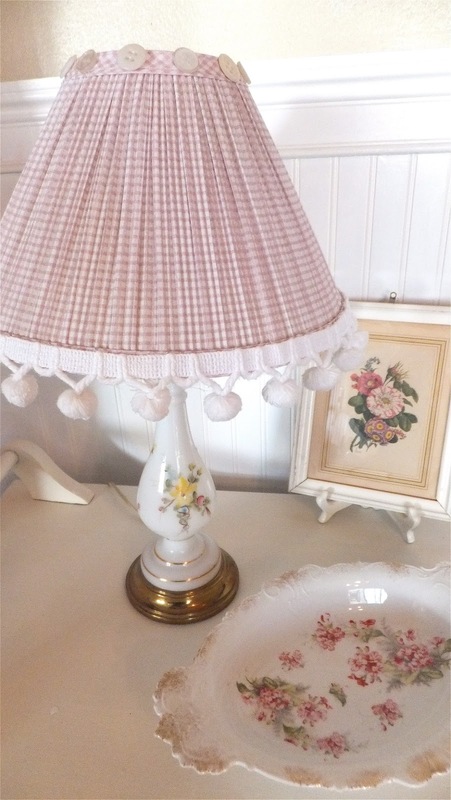 it looks so cute and perfect with your sweet vintage lamp! Great job. I can't wait to see the pimped out pillows. Adorable shade! Love the pink gingham and pom poms. Perfect for your vintage lamp. I love your pink lampshade. Nice Job! Thanks for sharing. Hope you will visit Magnolia Cottage. Happy Pink Saturday Susan and Bentley. cute cute cute.....love the new do on the lampshade~ Thank you for your kind words on my french chair redo. I worked some more on it today. I bought a pneumatic stapler, hoping that will make the upholstery a little easier. I never pulled out so many staples! :)Hope you will show us the ones you and your Mom slip covered. You have a great lamp shade there, looks so cute with the ball fringe. Happy Pink Sat.